Matoma began DJing at a local student community in Trondheim, Norway and since then has come a long way – playing at major musical festivals like Belgium’s Tomorrowland and kicking off his Party at Your Place World Tour this month, featuring a stop at Boston’s House of Blues on March 30. The talented DJ answered a few questions from TBC via email. Q: Who’s the coolest artist you’ve collaborated with so far? A: The coolest artist I have collaborated with is a hard question because I have enjoyed all my collaborations. Astrid S., Becky Hill, ‪Akon, ‪Sean Paul, The Vamps, ‪Jason Derulo, and many more are great artist and songwriters and I had such an amazing time in the studio with them. Q: You recently collaborated with The Vamps on your shared single “All Night.” What was working with them like? A: First of all, they are great people and so down to earth and nice. I really enjoyed working with them and to challenge myself to go outside the box and produce something I’ve never produced before was so much fun. I met the guys when we performed at BBC Radio One Live in London last fall and we had such a good time. It was also fun to meet my good friend ‪Sean Paul who also was there to promote his song with Anna Marie. Q: Are there any artists you wish to collaborate with in the future? A: Yes, I have one artist on my bucket list that I would love to collaborate with, but I’m not sure if that’s going to happen, but I cross my fingers. It’s ‪Will Smith. Q: In 2016, you performed at Tomorrowland, one of the world’s largest electronic music festivals. What was that experience like? A: To perform at Tomorrowland was a big milestone in my career and a big accomplishment for the team and myself. We worked hard to get me on that slot and the reaction of the crowd when I played was amazing. People around the world gathered and waved with their flags and spirits. It was also my girlfriend’s birthday, so we celebrated that backstage with champagne and cake. It was truly an amazing experience. Q: You’re going to be performing at Panaroma, Firefly, and Hangout Fest with major artists like ‪Frank Ocean, Solange, ‪MGMT, and so on. Which music festival are you most excited to play? Any artists you hope to meet? A: I’m excited to play at all the festivals I’m doing this year. The last three years, me as an artist and my team, have worked hard and dedicated to get me on these different festivals and finally I’m playing some really late night sets on some huge stages. That for me is huge and I’m super pumped. A: I love nature. I love making music. I love swimming. But I also love being with friends and family. When I’m with family, my girlfriend, and friends you can find me in the most happy conditions in life. Then it’s good to bring that energy along when I’m Djing and touring. Q: Should fans expect another single soon? Q: Last but not least, what’s your favorite thing about Boston? A: The people, the atmosphere, and architectural infrastructure! 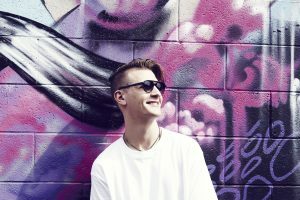 Be sure to listen to Matoma’s music here and get all the details on his upcoming show at the House of Blues on The Boston Calendar.